Icinga 2 is an open source monitoring tool. With Icinga2, you will be able to monitor your network resources, get an alert on the outage, also able to generate the performance data. Icinga 2 is very scalable, and you can monitor small to larger, complex environments across multiple locations. Icinga 2 supports all major distributions such as Debian, Ubuntu, CentOS / RHEL, Fedora, openSUSE, SLES, Gentoo, FreeBSD, and ArchLinux. 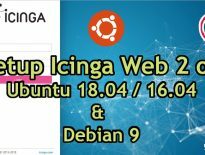 This document covers basic installation and configuration of Icinga 2 on Ubuntu 18.04 / Ubuntu 16.04 & Debian 9. First, switch to the root user. Install the below package for https support. Add the Icinga public signing key to the system. Add the Icinga repository using the following commands. As part of the installation, Icinga 2 service should start automatically; if not, then start the Icinga 2 service using the following command. Set Icinga 2 service to start automatically on the system startup. Without the plugins, Icinga 2 does not know how to monitor the external services. So install Nagios plugins on top of Icinga 2. The DB IDO module for Icinga 2 takes care of exporting all the configuration and status information to the database. 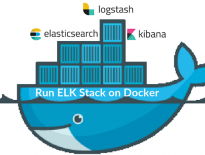 At present, MySQL, MariaDB, Oracle, and PostgreSQL are supported. Here, we will use MariaDB as a database server. If you already have MariaDB server installed, you can skip the below step. Now, install IDO modules for MySQL using the following command. You can find the icinga2-ido-mysql package in Icinga 2 repository. During the installation of IDO modules, the installer will prompt you regarding the module installation. Here is how you should answer them. You can log in into MariaDB server without the MySQL root password by running sudo mysql -u root -p or mysql -u root -p command as root. Create a database for Icinga 2. After creating the database, you shall import the Icinga 2 IDO schema using the following command. 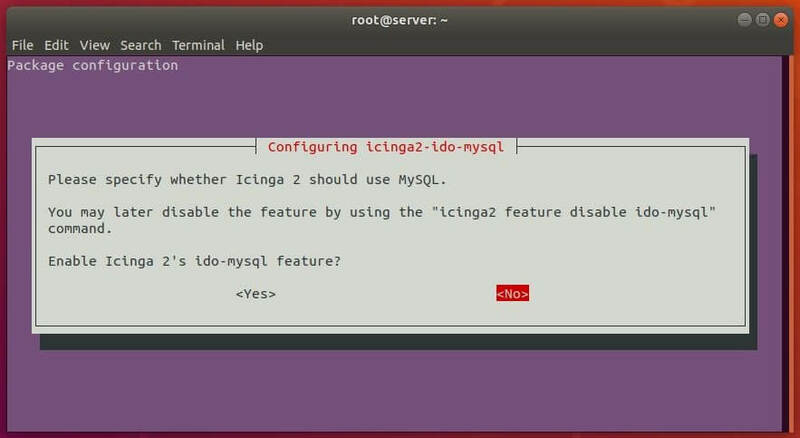 We would need to enable the ido-mysql in Icinga 2. Enable the ido-mysql feature using the below command. Also, enable the command feature which helps Icinga web interface and other Icinga add-ons to send commands to Icinga 2 via the external command pipe. 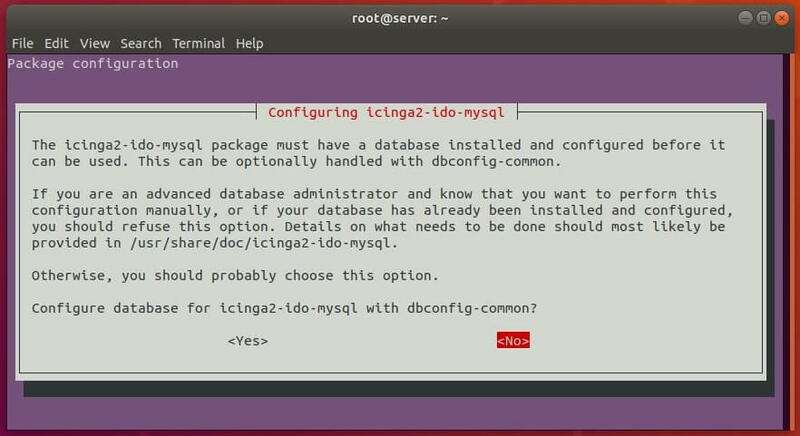 Once you enabled the IDO modules, Icinga 2 places the new configuration file at /etc/icinga2/features-enabled/ido-mysql.conf in which we need to update the database credentials manually. Update the above file shown like below. Restart the Icinga 2 instance to have this enabled features take effect. In our next tutorial, we will configure the Icinga 2 web interface to provide a centralized web console for monitoring servers.